Since the status of the Bolingbroke was brought up, I thought I would ask about the CWHM's Grumman Tracker and Grumman Avenger.. It seems that several years ago the plan was to have them flying by now, but I have not heard anything. Is the museum still planning on making these two aircraft airworthy? A recent post on their Instagram of the Avenger in its days as a Tanker indicated early 2019 as the current timeline (this info is in the comments of the post). Not sure on the Tracker but am looking forward to it! We are currently enjoying good times with many of our aircraft flying and several more expected back in the air as we approach our 50th Anniversary in 2022. We will announce more details about our 50th plans as we get closer. 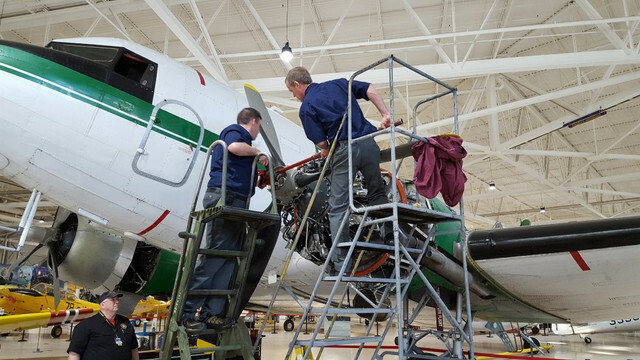 This year, our aircraft cumulatively flew a total of almost 400 hours and that's all local flying! 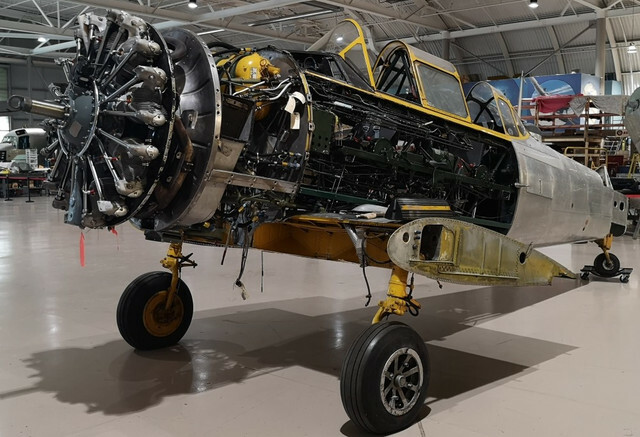 Grumman TBM Avenger - this is the replacement for the one lost in the fire (will even re-use the old civil registration C-GCWG) but will be painted in the two-tone grey Royal Canadian Navy scheme similar to our Firefly. Restoration is essentially done but we have to still hang the propeller, await the final approval paperwork from Transport Canada. 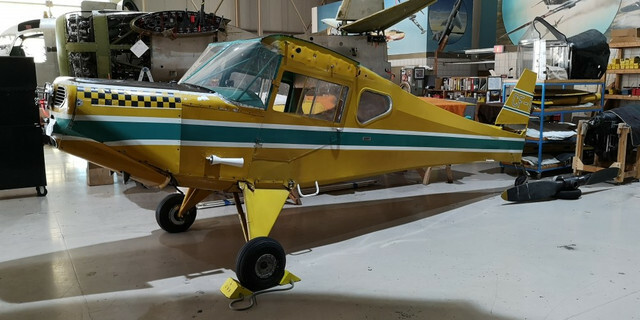 We expect to fly in early 2019 with a paint job to follow. Dennis Bradley's son, James, will be one of the pilots. We are also contemplating Oshkosh 2019. 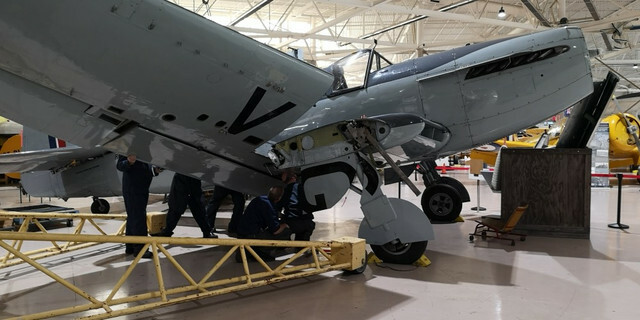 Fairey Firefly - this has been on the ground for a few years due to a propeller issue (fixed) and we had to replace a cracked internal wing folding mechanism component. We had to manufacture these from scratch which was time consuming and expensive. 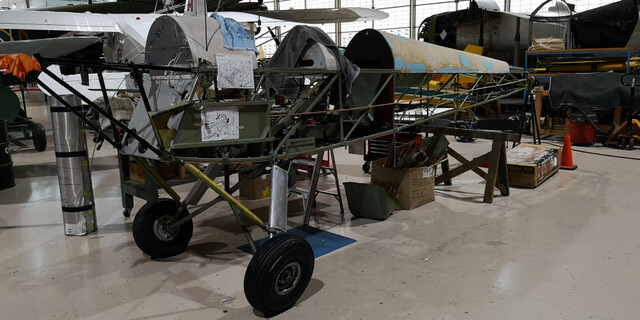 Those parts are currently being installed now so we can start flying it in 2019. Again, we are contemplating Oshkosh too. 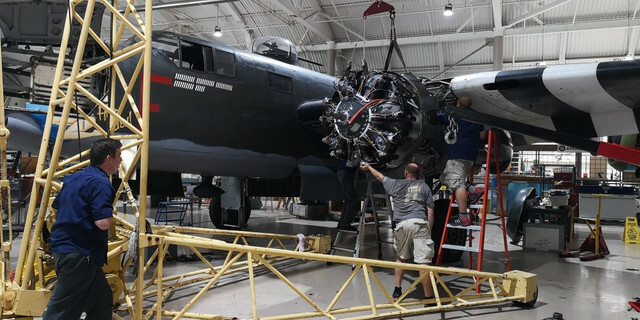 B-25 Mitchell - although it has been flying for many years, it was down for most of 2018 for engine replacements and some TLC work but is now back online. The glass nose that was in storage for many years is off being restored with installation planned during winter maintenance. We're not sure of which winter yet though! Douglas C-47 Dakota FZ692 - not to be confused with our DC-3 "Canucks Unlimited" (and still fly). FZ692 is a WWII veteran flying with the RAF on D-Day (the actual “Kwicherbichen”) then flying with 437 RCAF Squadron for the balance of the war. 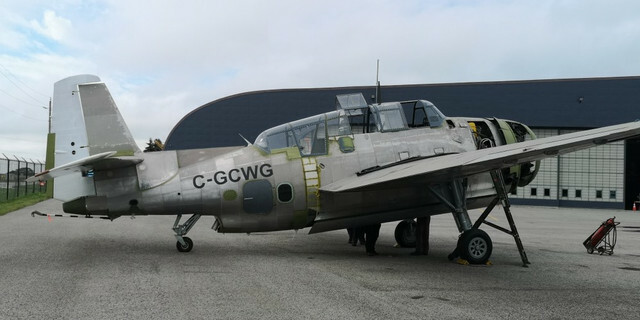 We will replace the civilian scheme with an authentic RCAF WWII scheme in Dec/Jan. We are not planning to fly it to Normandy next year. Fleet Canuck - our most recent donation. It will require a complete restoration and has been put into storage until then. 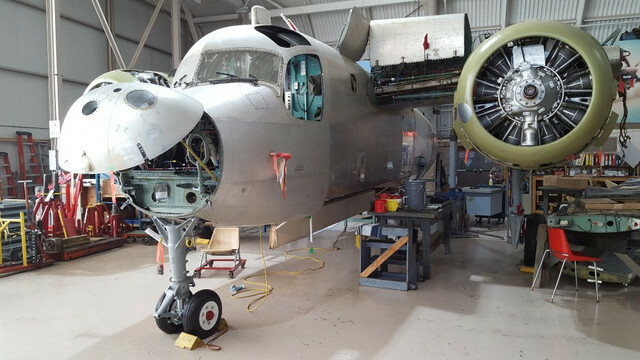 Grumman Tracker - originally on display as a static aircraft but now undergoing a full restoration to fly with the goal of our 50th in 2022. Harvard & Tiger Moth – we now own two of each and both of our originals flying with us since the early 70s are undergoing full re-restorations. Both are expected to be airworthy again in 2019. Currently flyable - Lancaster, Harvard, Stearman, Cornell, Canso, DC-3, Chipmunk, B-25, Norseman, and Tiger Moth with the Avenger, Firefly, C-47, second Harvard and Tiger Moth to join that list in 2019. We had some fun flying with the RCAF CF-18 demo this summer. Thanks for the update. I have a soft spot for the Avenger and look forward to seeing this one back in RCN colours. Thanks for a Great Update! 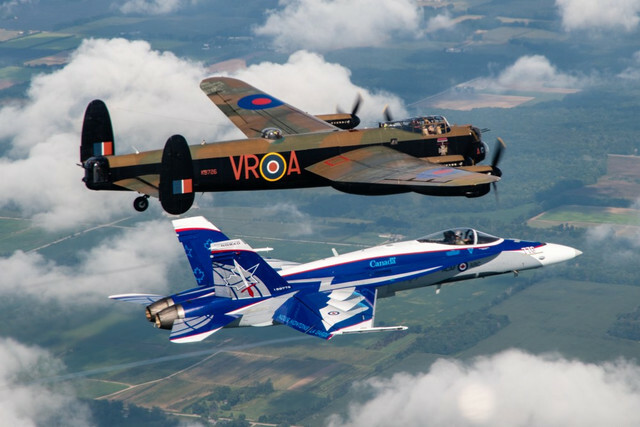 Look forward to perhaps a Great 50th Anniversary show in Hamilton in 2022 with the Tracker and others flying. 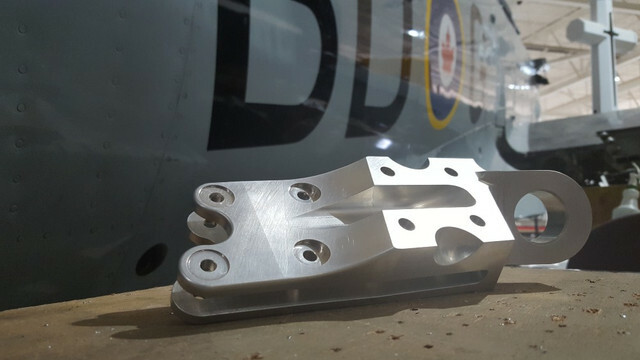 Thank you for the update, I always enjoy seeing what's new with the CWHM fleet.